The nation has been jolted out of its reverie by the horrendous and gruesome Pulwama attack where a convoy of CRPF jawans was killed when a Jaish-e-Mohammed fidayeen rammed a truck laden with explosives into the bus carrying the soldiers. The attack has claimed the lives of at least 40 soldiers and left several more seriously injured. Several Bollywood celebrities came out in support of the Indian military and condemned the attack. 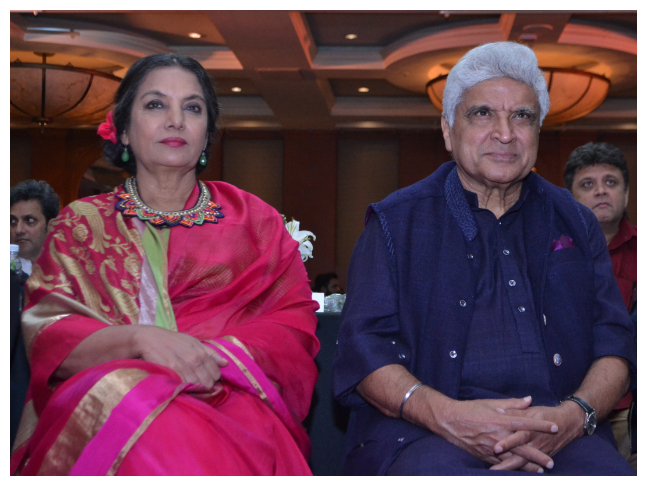 In showing solidarity with the martyred soldiers, Javed Akhtar and Shabana Azmi cancelled their visit to Pakistan. They were invited by the Karachi Art Council for a two-day literature conference to celebrate the actress’ father, the late Kaifi Azmi’s poems. In a first, Shabana had even called to halt all cultural exchanges with Pakistan. However, Kangana Ranaut had lambasted Shabana and called her anti-national for even keeping ties with Pakistan after the Uri attacks. Now, Shabana has given a befitting reply to the actress’ allegations. She told a website, “You really think at a time like this a personal attack on me can be of any significance when the entire country stands as one in our grief and in condemning this dastardly Pulwama attack? May God bless her." Kangana had said about Shabana’s gestures, “People like Shabana Azmi calling for halt on cultural exchange - they are the ones who promote Bharat Tere Tukde Honge gangs... why did they organize an event in Karachi in the first place when Pakistani artistes have been banned after Uri attacks? And now they are trying to save face? The film industry is full of such anti-nationals who boost enemies' morals in many ways, but right now is the time to focus on decisive actions... Pakistan ban is not the focus, Pakistan destruction is.” She had cancelled the scheduled success bash of her film Manikarnika: The Queen of Jhansi in the wake of the Pulwama attacks.